Last week, Portia Conn, a 17 year old music student at Stratford-upon-Avon College released her debut single, ‘I Don’t Care’. Portia, a singer/songwriter, is studying on the BTEC National Diploma in Music. The single was released following a successful launch party at Stratford-upon-Avon’s Cox’s Yard venue. 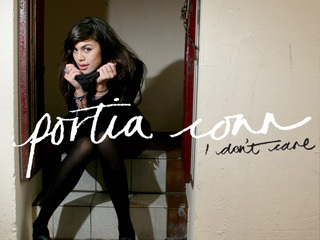 LAB Records signed Portia last summer despite her only ever playing three shows. She has also signed with the US label, Tragic Hero.